If your carpets look dull and stained despite the weekly hoovering, it is time you have them professionally and deeply cleaned. Performed by our highly experienced and trained cleaning technicians, the deep carpet cleaning will remove all stains, dust, and bacteria that have been accumulated over months or even years. Our high-quality carpet cleaning service, available throughout South West London, will restore your carpets’ old glory! Most carpet manufacturers recommend regular steam cleaning of the rugs and carpets because it is the most efficient method for deep carpet cleaning. It not only sanitises but also prolongs the life of the carpet, removing all dirt and dust from within the very fibres. Health agencies also advocate providing professional carpet cleaning at least once or twice a year, but for entirely different reasons. Most of all, this is essential for the good air quality in your home. 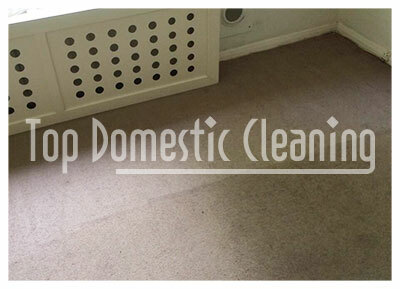 Besides, deep carpet cleaning prevents the build-up of dangerous bacteria and allergens. It kills dust mites and bed bugs that are often found in carpeting. The proper carpet cleaning, however, is not so easy to do on your own, as commercially available cleaning materials and machinery aren’t very effective. The professional cleaning sessions we provide in South West London and in the nearby boroughs are much more efficient and will eliminate dust, dirt, bacteria and mites. As one of the top professional companies in London, we offer immaculate cleaning and removal of stains through a modern steam cleaning method. We will perfectly clean and disinfect your carpets, extracting 95% of the moisture after the process. The careful selection of detergents is also essential in delivering the best results. We use environmentally-friendly cleaning agents, which are safe not only for the planet but for the human health, too. We know that convenience is a key factor to our customers, so we offer our carpet cleaning service on any day of the week without additional charges for working during weekends. Our service is reliable and safe – our cleaning techs are hired after a strict process of selection, background checks and personal interviews. They are also fully insured against accidental damage, so you can feel safe and comfortable around them.